When it comes to supporting nocturnal sleep patterns, melatonin is the #1 supplement in terms of clinical trials and efficacy. Melatonin’s ability to interact with membrane-bound receptors as well as intracellular binding sites help translate the message of darkness and sleep to each cell in the body. 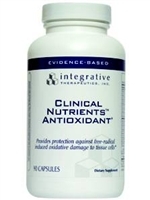 Just one tablet can be taken in the evening to help promote a relaxed mood and restful sleep. 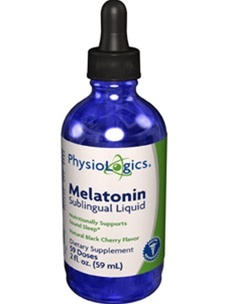 PhysioLogics offers high-quality melatonin that is vegetarian-suitable, free of substantial allergenic materials and dosed at levels consistent with published, clinical research. Other Ingredients: Glycerin, Purified Water, Natural Black Carrot and Black Currant Concentrates (Color), Citric Acid, Natural Black Cherry Flavor, Sodium Gluconate, Sodium Benzoate (Preservative), Potassium Sorbate (Preservative). 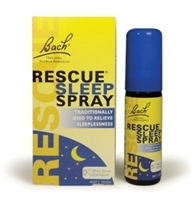 Rescue Remedy Sleep / Bach / 7ml_nd.